Wool is awesome. I’ve professed my love on numerous occasions and am continuing my journey to 100% wool conversion. I just read some exciting news for those in the law enforcement or military community who share my passion for merino. New research has shown that a new wool and kevlar blended fabric can help stop bullets 20% more effectively than kevlar alone and is significantly cheaper. Damn, so now when I walking around town in my new merino wool baselayer, mid-layer, boxer briefs, etc. I can feel confident that if a stray drive by bullet comes my way I’ve got the stopping power of WOOL. Not really, but still an exciting discovery. Below is additional information from the article and a link to the original post. 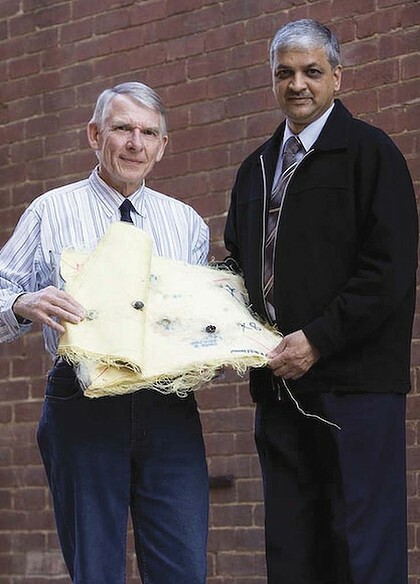 A BULLET-RESISTANT vest containing up to 25 per cent wool, being developed by researchers at RMIT University, is proving more effective than the fully synthetic vests currently on the market. Testing of the wool-kevlar blend fabric showed it was 20 per cent more effective at slowing a bullet and would also cost less: kevlar costs about $70 a kilogram compared with $12 a kilogram for wool. Because wool swells when wet, making the weave tighter, the vest is also proving more effective in wet conditions than the fully synthetic alternative. Step aside kevlar – I’m rockin bullet proof merino! This entry was posted in Uncategorized and tagged bulletproof, kevlar, merino, merino wool, wool. Bookmark the permalink. The world record price for a ram was AU$450,000 for JC&S Lustre 53, which sold at the 1988 Merino ram sale at Adelaide, South Australia.